Nothing says "vintage" more than a beautiful cameo. 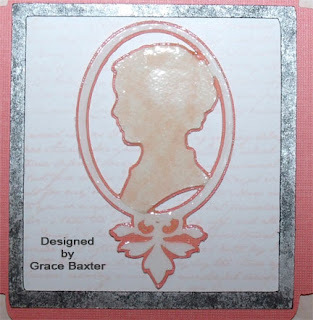 If you enjoy adding your own handmade details to cards, you might want to give this a try. 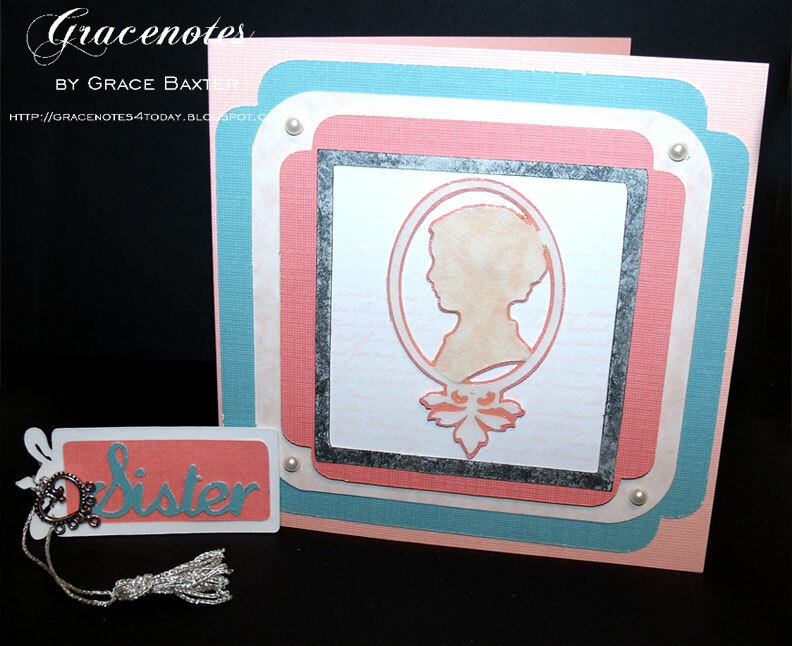 I wanted to make an old-fashioned, heritage-looking card... totally by hand. After perusing some metal embellishments at the stores, I decided against anything "store bought". Creating my own was so much more fun! Here is a closeup of my finished cameo. I thought a lot about cameos in jewelry. They are usually a creamy colour and have variegated colouring, sometimes with peach and cream together. In my stash of cardstock I found the perfect marble. This cameo cut is from the Heritage cartridge. For this technique, I cut it three times (thrice)... once from white, once from marble, and once from coral on shadow. The marble layer has the frame cut away. I glued all layers together and let them dry well. Then I covered the whole thing with Glossy Accents and let it dry overnight. All the above frames were cut from the Christmas Cards cartridge. Surprised? I know! This took some fiddling around to get it just right. I used my Gypsy to try different sized frames and tested them over the background. I made my own background; stamped writing in pale peach. To me, it represents an old love letter. 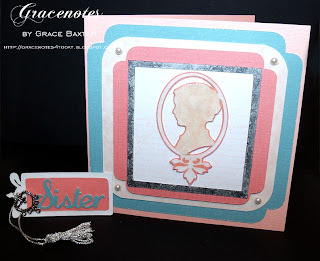 The faux pewter frame is cut from white heavy white cardstock, sponge painted with black and silver. I love this look for frames. 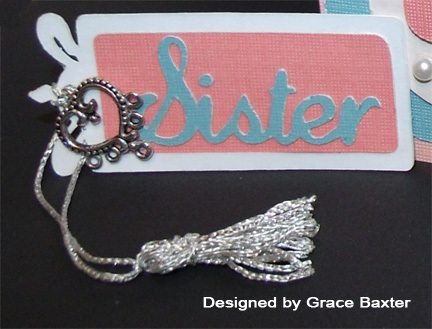 Using the Gypsy, I created this Sister book marker. The font used is from Quarter Note. The frame is from Heritage.